Below, Port Towns & Urban Cultures’ first-ever visiting scholar, Laura Mier Valerón from the University of Oviedo (Spain), explains how she came to be involved with the project, outlines her research and discusses how being a visiting scholar with Port Towns & Urban Cultures has enhanced her research, skills and academic experiences. First of all, let me introduce myself so the following explanation for my motivations, targets and experiences upon joining the Port Towns & Urban Cultures project is set in context. 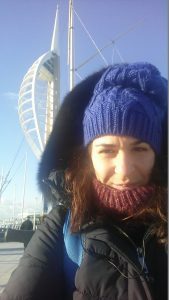 My name is Laura Mier Valerón and I have a BA in Art History from the University of Oviedo (Spain), having also completed a MA degree in Teacher Education at the same university. After two years of being a bursary holder of María Cristina Masaveu Peterson Foundation, for the development of the publication Javier del Río. Catalogue Raisonné (2012), I applied for a FPI bursary given by the Spanish Ministry of Economy and Competitiveness. This state bursary allowed me to join the research project “Espacios portuarios y villas costeras: modelos de estrategias urbanísticas y patrimoniales de regeneración y transformación del litoral asturiano” (HAR2011-24464) [Port areas and coastal towns: models of urban and economic regeneration strategies and transformation of Asturian littoral] at the Department of Art History and Musicology of the University of Oviedo. Including several conferences and publications related to my line of research, this bursary permitted me to work on my thesis “Iconografías portuarias: miradas artísticas al litoral cantábrico” [Port Iconographies: artistic looks of the Asturian coast], which is supervised by Professor in Art History, María Soledad Alvarez Martinez. This research focuses on the study and the implementation of a catalogue raisonné of two-dimensional art pieces – painting, drawings, printmarking, etc. – that reflect different aspects of the Asturian littoral and its various coastal towns, beaches and ports along a timeline extending from the nineteenth century to the present. This catalogue studies circa 1,600 pieces of art works that serve as primary sources to establish a series of cross-curricular subjects such as the evolution of landscape, port infrastructures and beaches over this time frame, to determine all the differences detected between the real topography of these places and the various scenes and iconographies that artists have decided to capture. Also other items of importance such as traditions and customs, religious and mythological aspects, etc. are reflected in these works, as well as collected and connected with artistic practices. Moreover, one of the best benefits of having a FPI bursary was the possibility of requesting a specific visiting scholar bursary, which permits researching staff to stay for a short period of time at a foreign university by meeting two main conditions: keep on working on your thesis in relation to the reception centre’s sources, and collaborate in a project which has to be connected with yours as well as be useful for your own research experience. At this point I thought about a multi-disciplinary goal that helped me with the nature of my thesis and one to help make me capable of managing new methodologies, different ways of approaching knowledge and definitely let me handle useful researching skills. Also, I wanted to open a distinct channel of communication with a new centre, to contribute to my local university, as well as test myself with a new challenge. Mixing all these parameters, the Port Towns project seemed a perfect option to reach all my goals. In addition, I would develop myself with familiar targets, as hemerographic and databases researching or elaborating a photographic corpus of the city of Portsmouth, but also with totally unknown activities for me such as collaborating in a mobile phone app. The press and hemerographic researching has been fascinating because I could manage databases in terms of sailors’ crime recording about Portsmouth between decades of 1840 and 1900 as well as explore the stereotypes that the English press had about Spanish seamen. 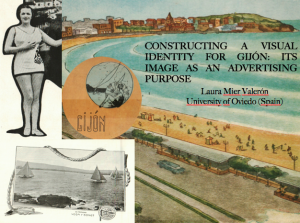 I also had the opportunity to give a paper for the History Cluster entitled “Constructing a visual identity for Gijón: its image as an advertising purpose”, assisted at various conferences and the “War, Culture and Leisure (1850-1950)” classes from the History MA “War, Culture and Leisure”. Furthermore, I had the opportunity to write an article for the Portsmouth Postgraduate Review, based on the paper I gave for the cluster, and I will be able to keep in contact with Port Towns Leisure network, so I feel this involvement will make the difference to my CV. In relation to the future, I will be working on my thesis for one year more, more or less, as well as joining the new department’s project “Focos de creación, impulso e innovación: equipamientos para nuevos entornos urbanos en el litoral cantábrico” (HAR2015-64219-P) [Hubs of creation, promotion and innovation: equipment for new urban environments in the Cantabrian littoral], which I will be cooperating with until I finish my research, and for which I have collected some bibliography materials, methodologies and information whilst in Portsmouth, which I hope we can take advantage of. In fact this new adventure is a consequence of the aforementioned project, which was active from 2012 to 2014, so henceforth their results will be included and considered in this one. 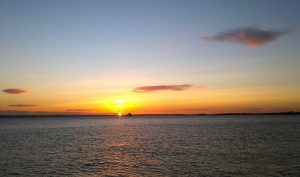 Finally, I want to say thank you for the opportunity of blogging this post which gives me a green light to explain my activities here and the impressions I have got as well as extend my gratitude for all the facilities given by the members of Port Towns project and other related staff. I am very satisfied with the interest shown by them as much as for the possibilities of participating in every task I asked for or just by the different samples of support. Thanks indeed to Karl Bell, Robert James, Louise Moon, Melanie Bassett, Steven Gray, Daniel Swan and Eilís Phillips and very especially to Brad Beaven, who supervised me during my visit and let me take part in this project as soon as I arrived. I am going back to Spain very pleased and having had an enriching professional and personal experience.